As some of you couldn’t see it very well in my previous post, here is it! I think it is meaningless. It says nothing about Pistoia. What is the point? This is not a logo….this is a children’s game called “Pick Up Sticks”. The child drops the sticks on the table and tries to pick up as many as possible without moving another stick. The child who picks up the most sticks without moving another stick is the winner! 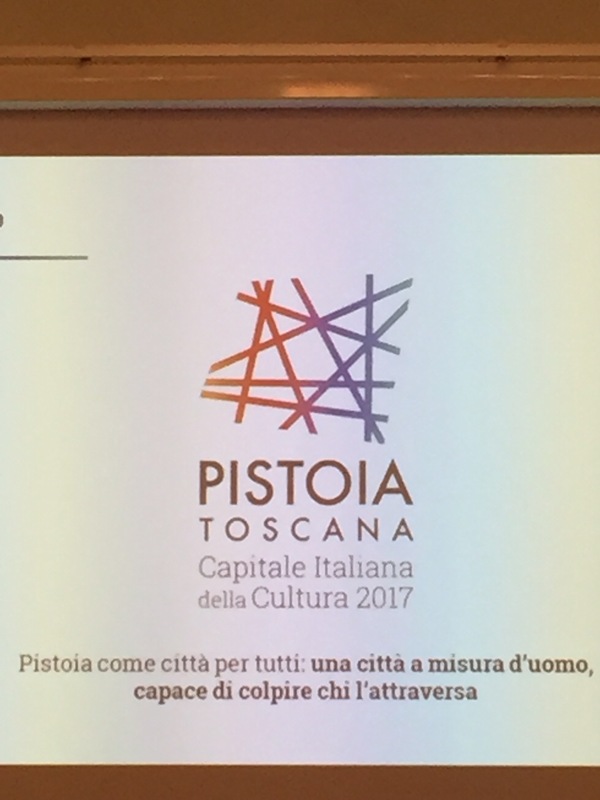 With all the beauty, history, art and culture to inspire creativity in Pistoia, this one fails miserably! Shame on the Judges! Thank you! in Italy we call this game “Shangai”we use to play it when I was a babygirl . Forgot it until I saw it last week here. There is an explaination the author , a designer, gave us , but I wonder : a logo has to be explained or it has to be just so simple to be understood at first sight? It’s colorful and modern in design, but for me it lacks a connection to the beauty, history, culture and people of Pistoia. I like the old one better….it will probably become recognizable after a time, but doesn’t do much for me, sadly. I’d like to see some of the other entries.